After a little trial and error, here's an easy DIY project for a surprise lantern pull string that you could use for a variety of special occasions. 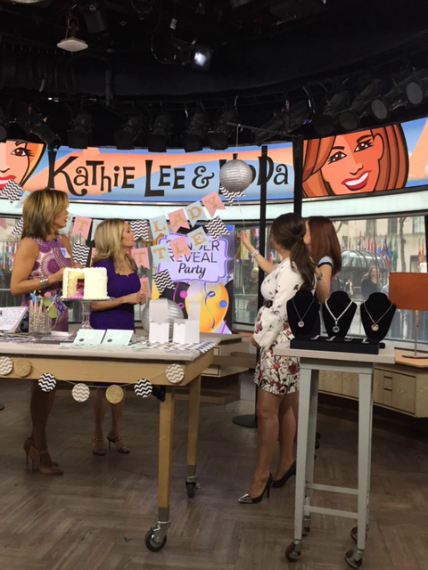 When asked to put together a baby gender reveal party for the Today Show's fashion editor Bobbie Thomas, I knew I wanted something to fall out of a Japanese paper lantern, but what? After a little trial and error, here's an easy DIY project for a surprise lantern pull string that you could use for a variety of special occasions. 2. 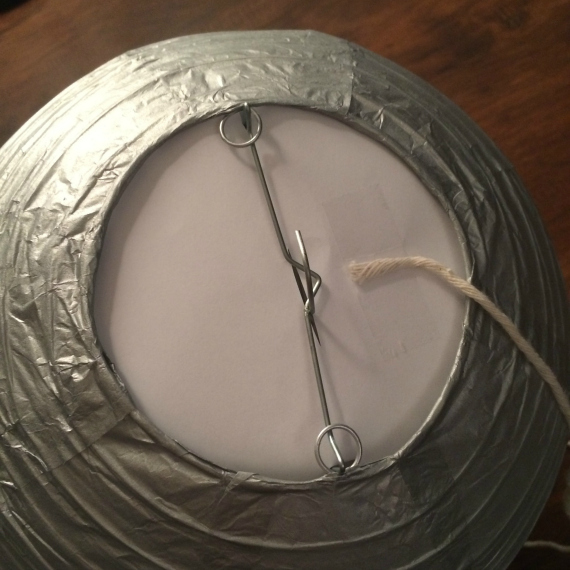 Remove paper and construct lantern. 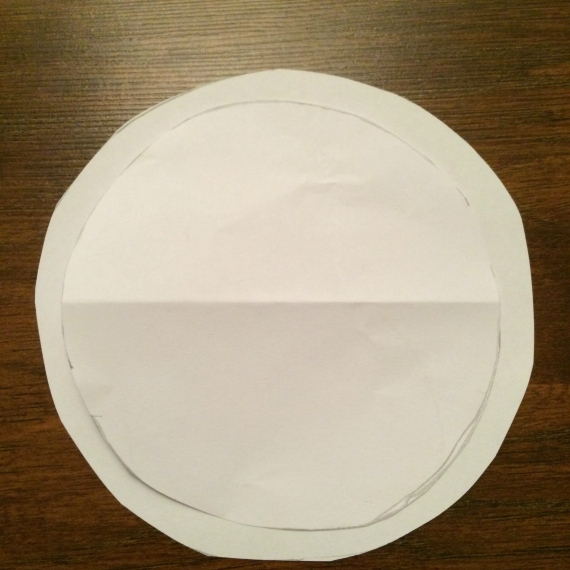 Now eyeballing that initial circumference outline, trace a circle around it that's ½" bigger: this latter circle is the one we need to cover the hole and contain the cranes so cut it out. This is our paper plug. 3. 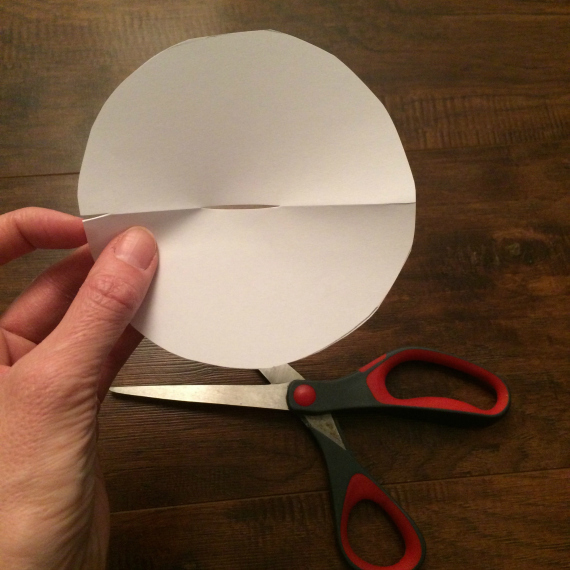 Fold circle in half so there is a center crease. While folded, cut a sliver of a hole in the middle about 1" long. 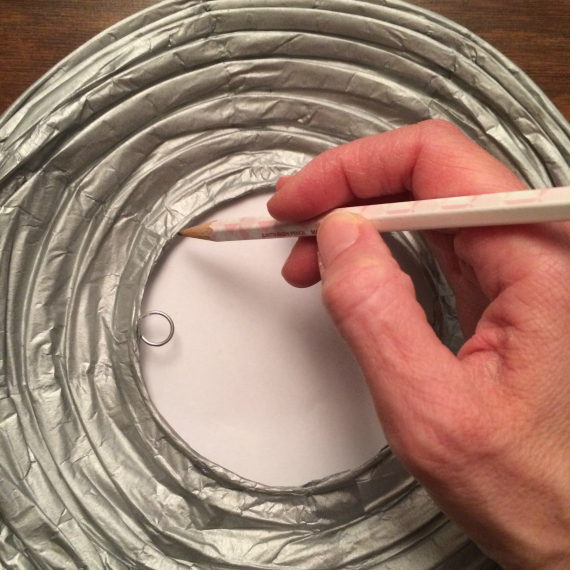 Open circle and make small cuts on either end of the folded line (this allows for the paper "plug" to rest inside the lantern sandwiching the interior wire frame). 4. 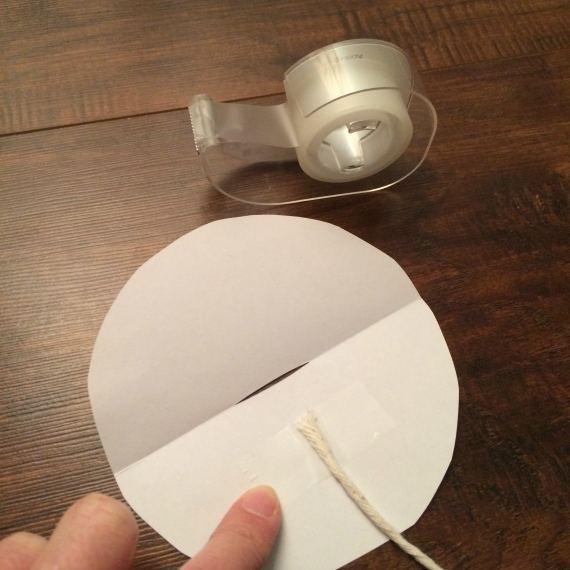 On one side of the circle, tape string. 5. 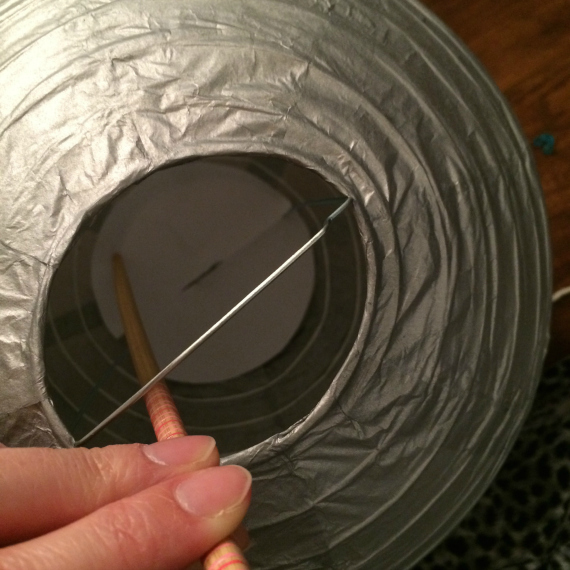 Using a long chopstick or similar utensil, place plug into the top hole of the lantern. 6. It's time to fold small Japanese paper cranes in all pink or blue as appropriate. Place 6-10 cranes in each lantern and suspend lanterns from the ceiling. 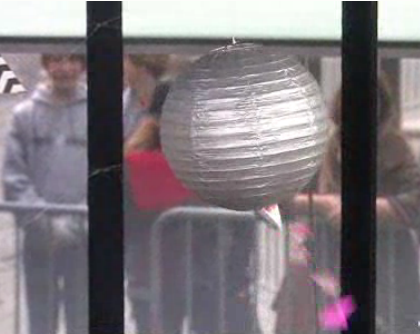 When it is time for the reveal, each guest gently pulls her string, and the cranes fall out! Here I demo just one lantern, but a baby gender reveal party would be so festive with an entire roomful, enough to have one for each guest! So many reveal concepts involve the release of confetti or glitter, which if you are pregnant and hosting in your home is honestly THE LAST thing you want to clean up or inhale! I like easy entertaining, especially for expectant moms. Plus in Japan cranes are good luck and mean longevity--the lifespan of 1,000 years.